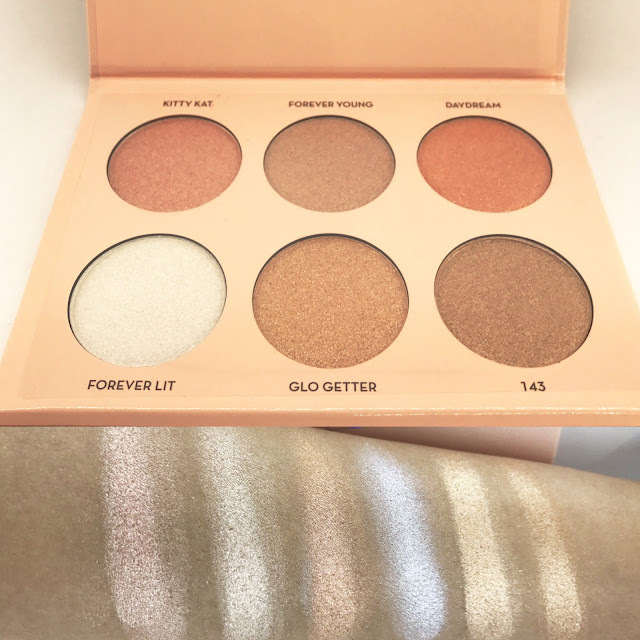 Anastasia Beverly Hills x Nicole Guerriero has recently collaborated to create this amazing Glow Kit It was all over the internet before its official launch and me, being a highlighter fan could not resist ordering one for myself. I just had to order it the moment it came online in stores. Ordering makeup in pakistan is a real hassel But I could not just miss any Limited Edition. Even before the Glow Kit was launched I decided its going to be mine and I ordered this from The Glam Shop. They had this discount offer going on and sold it to me for 5100 Pakistani rupees, which is a great price for a 40 dollar product. Packaging : Pink and silver cardboard packaging with ANASTASIA BEVERLY HILLS logo in black and NICOLE GUERRIERO logo in holographic. Texture: These highlighters have soft buttery texture and are super easy to apply and blend. Since they are being metallic you do not even need much of the product. Formula: The brand calls the formula of those highlighters “metallic-luster”. These highlighters gives an intense, luminous finish and gives a very subtle glow. It does contain glitter particulars, but its not chunky and almost undetectable. According to ABH, these highlighters could be applied wet or dry. Longevity: They last a pretty long time even though I applied it on my face for testing purposes without any primer or foundation. I enjoyed how long the highlighters stayed on my skin. The longevity of those products is pretty impressive. Value : It contains 6 pans which are generous in size. The Glow Kit does not have any mirror which might be a turn off for some. Its priced 40 USD exclusive of tax and can be ordered directly from SEPHORA or ABH OFFICIAL. In Pakistan you can order it from The Glam Shop. Although my current favorite highlighters are BECCA Shimmering Skin Perfector® Pressed Highlighter - Champagne Pop & Makeup Geek x KathleenLights Highlighter Palette BUT I have high hopes with this Glow Kit. Have you used it ? do you wanna order it ?? For now It's out of Stock every where.